Power of judicial review has been proclaimed by the Supreme Court as the basic structure of the constitution in the Kesavananda Bharati case. So it can not be taken away by any Constitutional amendment. Recently the Constitution bench of Supreme Court quashed down the 99th amendment famously known as NJAC(National Judicial Appointment Commission) which was to change procedure of appointment of High Court and Supreme Court judges and was to give equal primacy if not more to the executive in the appointment of the judges to the constitutional courts of this country who are directly responsible for safeguarding the fundamental rights of the people of India. Supreme Court was of the view that the amendment to Article 124 would endanger the independence of the judiciary as the executive will get a big say in the appointment of judges to two highest constitutional courts of the country. The power of judicial review was left untouched by the 99th amendment but the Supreme Court said that the Clause (a) and (b) of Article 124A(1) would hurt the independence of the judiciary. The power of judicial review lies in the hands of the judges and if the judges election process is not proper then all other powers would become ineffective, was the view of the Supreme Court. In many countries all over the world, the appointment of judges is being done after proper consultation between the judiciary and the executive. Even in India in the pre 1993 period(before the "Advocates on Record Case" changed the status quo) the judges were appointed by the executive. But now things have changed. In modern day India we have a proactive citizenry, strong social progressive institutions and an inquisitiveness in general public to know what is happening in the country. In such an atmosphere the power of judicial review and other important powers can not be made to fall under the jurisdiction of a single party. Supreme Court job is to safeguard the Constitution of India. 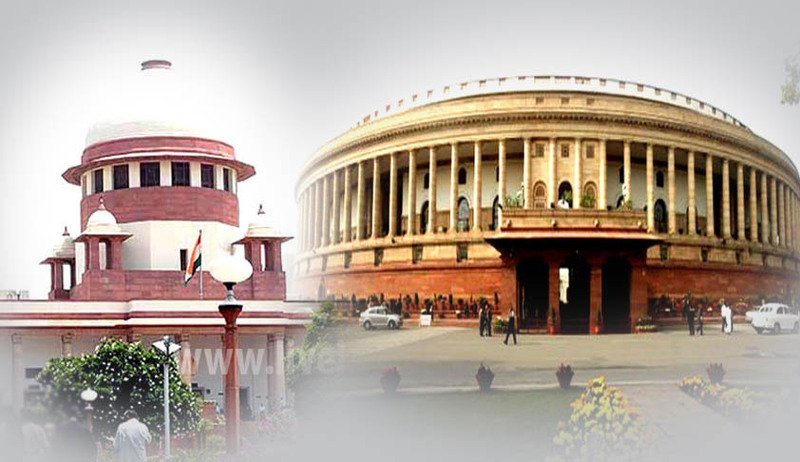 The Constitution of India derives its power from the people of India and these very people elect the Government of India which is the executive so both the executive and the judiciary should have a say in the power of judicial review without jeopardising the concerns of one another. Primacy of the judiciary is important for the independence of its functioning but absolute primacy is not required.